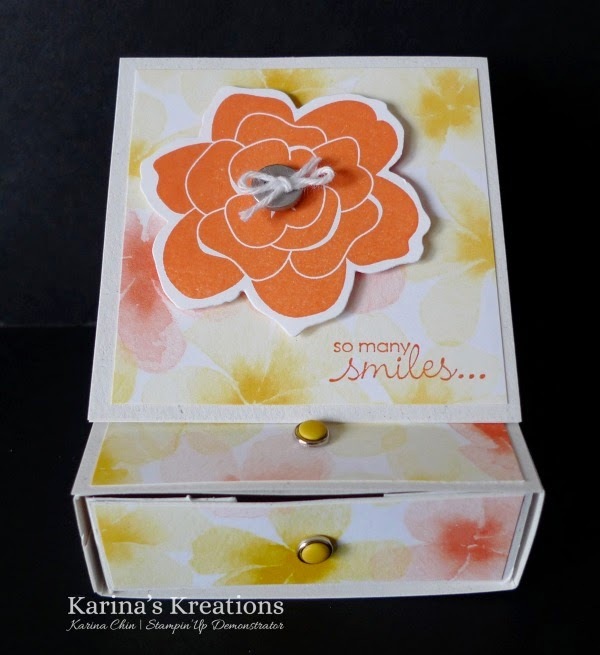 Karina's Kreations: Stampin'Up Easel Card with a Drawer Video! 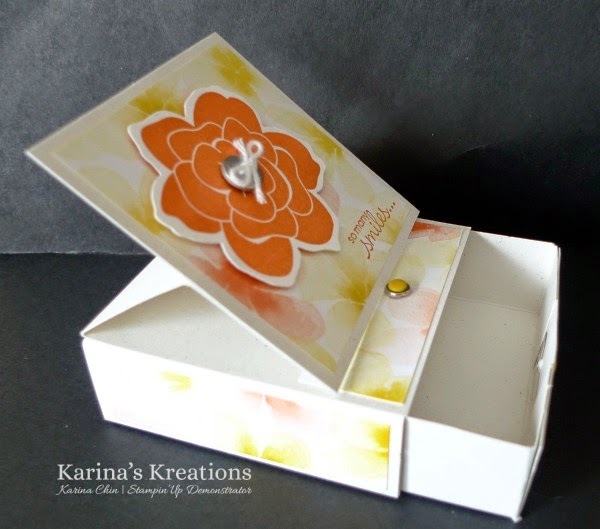 Stampin'Up Easel Card with a Drawer Video! I have too many items to share with you today. First of all Stampin'Up had announced that they will be partnering with project life which is an easy to use scrapbook system. If you have a demo number you can place an order April 21. Customers can order May 1. I promised to show you how to make an easel card with a drawer. -3" x 8-1/2" wrapper for the drawer scored at 1", 4", 5" and 8"
-4 pieces of Watercolor Wonder Designer Paper 3/4" x 2-2/4"
-1 piece of Watercolor Wonder Designer Paper 2-3/4" x 2-3/4"
I hope you'll try one of these cards.